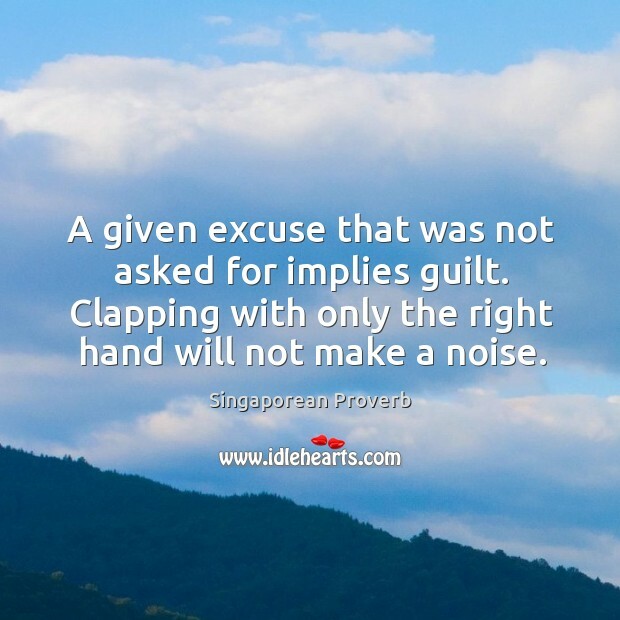 Collection of famous Singaporean proverbs, true sayings and wise words. Use words and image sayings to keep you moving forward! 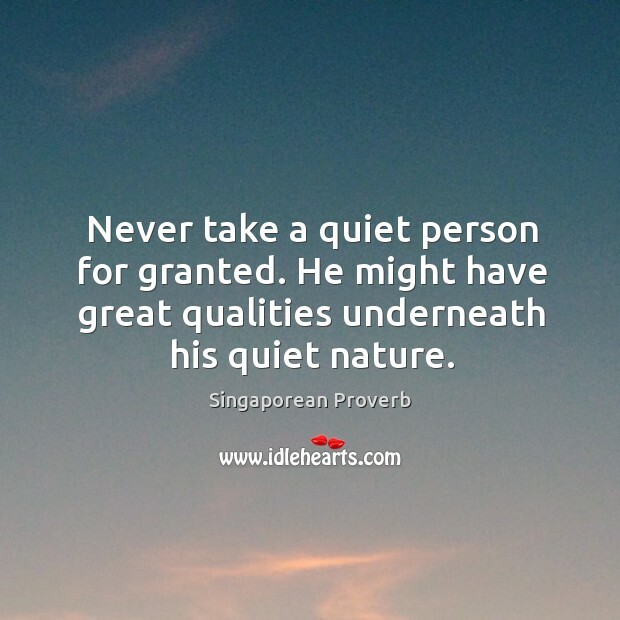 Never take a quiet person for granted. He might have great qualities underneath his quiet nature. 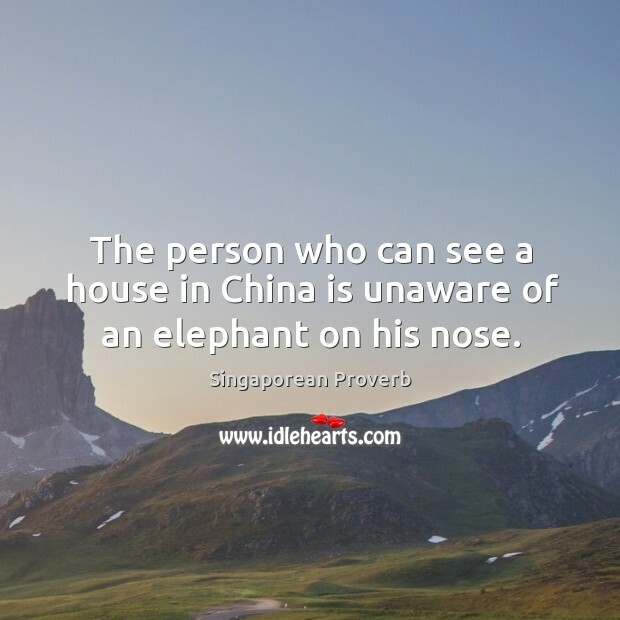 The person who can see a house in China is unaware of an elephant on his nose. 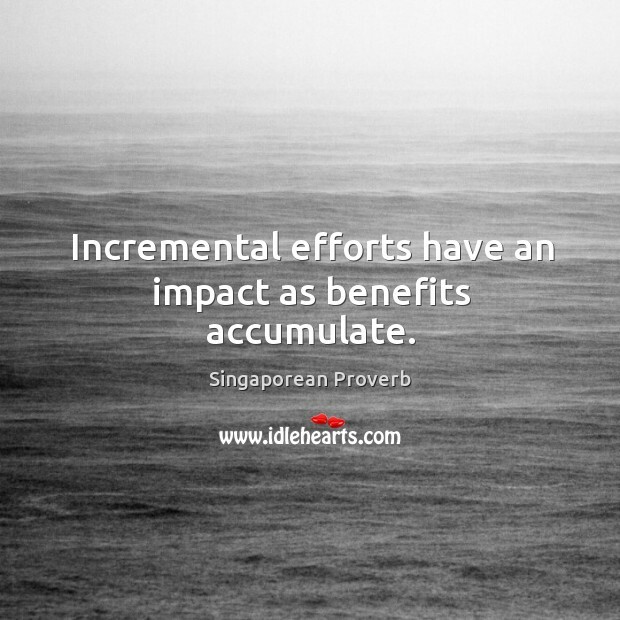 Incremental efforts have an impact as benefits accumulate. A given excuse that was not asked for implies guilt. Clapping with only the right hand will not make a noise.